My husband has a desk job where he sits for long periods of time along with sitting in the car every day for a long commute. So all that equals a very sore, painful back and chronic back pain that nothing has seemed to alleviate! At this point, he is up for trying anything! So this time around, I sent the Cush Comfort seat cushion to work with him with direct instructions to sit on it at work! Cush Comfort is a revolutionary product to help alleviate pain and provide the utmost in chair time comfort. So the results?? And after only a week of using the Cush Comfort on his desk chair, my husband has commented several times that it is very comfortable to sit on and his back hasn't been as sore as usual! He ACTUALLY enjoys sitting on it and I think he may actually stick with this solution for his back pain!! YEAHHH!!!! 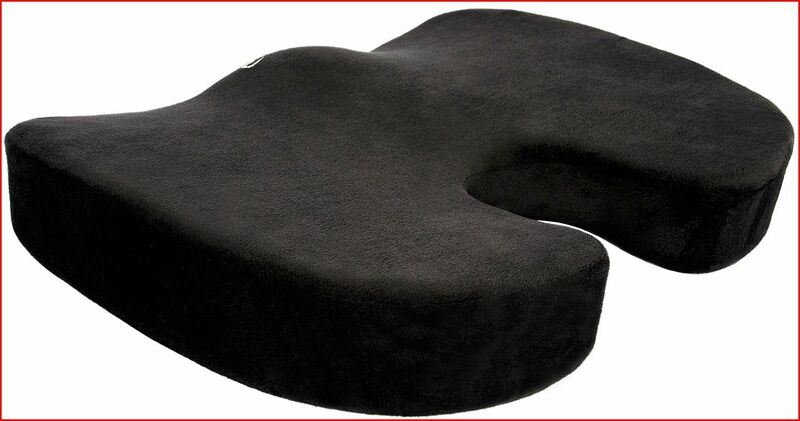 If you want to try the Cush Comfort, save 10% Off Cush Cushion with promo code: clubcush at http://www.cushcomfort.com.